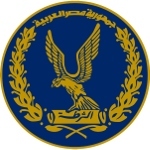 National Police Day is a professional holiday in Egypt observed annually on January 25. During the past few years, however, it has been overshadowed by a national holiday entitled 25 January Revolution Day. Egypt officially became an independent state in 1936, following the signing of the Anglo-Egyptian Treaty, but it took the United Kingdom nearly two decades to withdraw its troops from the Suez Canal region. British military presence caused significant tension, which eventually led to a clash between the British military and the local police in the city of Ismailia. On January 25, 1952, the British Army surrounded the Ismailia police station and demanded that the policemen hand over weapons and evacuate the station. The policemen refused, so the British brought tanks in and took over the station. During the confrontation, 50 Egyptian policemen were killed and more wounded. The incident in Ismailia was one of the prerequisites for the Egyptian revolution of 1952, which resulted in the overthrow of King Farouk. In 2009, President Hosni Mubarak officially declared January 25 as National Police Day to acknowledge the sacrifices of Egyptian police and to recognize their efforts to maintain security and stability in the country. Two years later, Egyptian opposition chose this fay to start mass protests against police brutality and Mubarak’s regime, which eventually resulted in the Egyptian revolution of 2011. Today, January 25 is celebrated in Egypt as both 25 January Revolution Day and National Police Day.